MINNESOTA — Brandon Zylstra is headed home to Minnesota. 2017’s league-leading receiver has signed a reserve/future free agent contract with the NFL’s Minnesota Vikings, the team announced on Wednesday. In 16 games in 2017, the Spicer, Minn. native collected 1,687 receiving yards on 100 catches to go along with five touchdowns in his second CFL season with the Eskimos. His performance earned him CFL All-Star honours and impressed teams south of the border, garnering the attention of several NFL teams. We have signed WR Brandon Zylstra (@BrandonZylstra3) to a Reserve/Future contract. 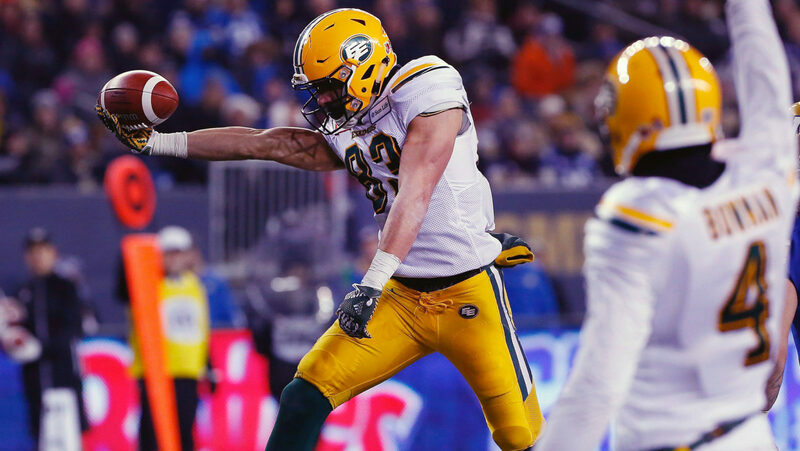 His first year with the Esks was cut short to just six games where he amassed 508 receiving yards and three touchdowns. Zylstra attended Concordia-Moorhead College and New London-Spicer High School. He finished his career in Moorhead with 1,932 receiving yards and 18 touchdowns in 29 career games with the Cobbers before signing with the Eskimos.